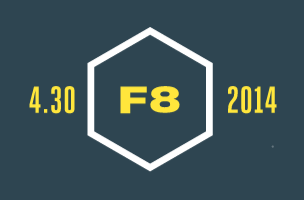 Facebook has opened registration for its F8 conference — a mecca for developers. Previously, Facebook has launched innovations such as Open Graph technology and timeline at F8 conferences. The event will be held April 30 at the San Francisco Design Concourse. Registration is done through the F8 website. Spaces are limited for the conference, so not everyone who applies will be able to attend. If the registration is processed, the attendee will then be charged the $495 fee for a conference ticket.